-Drive Electric is Coming to Your Region!!! Check out the brand new DriveElectricNH.org website - the go to resource for all things transit electrification in New Hampshire! A decade ago, solar power was considered the wave of the future, with many touting it as a way to move away from fossil fuels and clean up the environment. For Nashua – and New Hampshire – the future is here. (Read more here.) 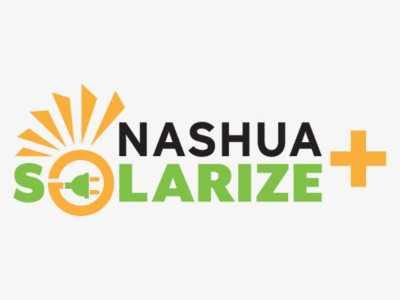 (Visit https://nashuasolarize.com/). 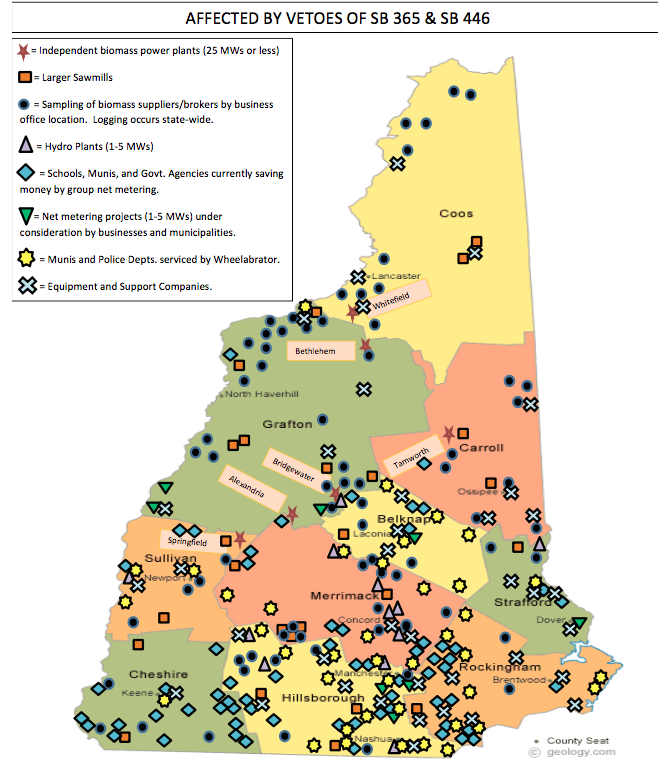 Andrew Kellar of New England Solar Garden discusses the repercussions of the Governor's decision to veto a bill to expand net metering in New Hampshire. 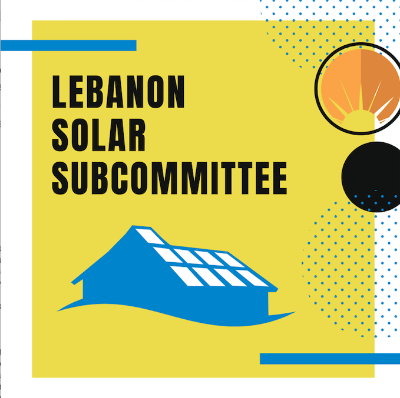 The Lebanon Energy Advisory Committee (LEAC) has recently established a Solar Subcommittee to review the potential for solar power on City-owned property. Over 30 different sites are being explored with total power production of 5 to 10 megawatts. The intention is for the City to use some of the electricity to power particular City facilities, but also to make as much of the additional power available to local residents, businesses, and institutions as possible. LEAC members are working with the City’s Energy & Facilities Manager and Planning & Development Office to write RFP’s for the project, and refine and expand the City's inventory of potential solar sites. Lebanon Energy Advisory Committee also has a Municipal Aggregation Subcommittee that is actively exploring the development of a community choice aggregation program for Lebanon and perhaps surrounding towns in order to offer lower-price electricity with a green option. Locally-produced solar power may be available one day through this platform. A third Streetlight Subcommittee has been working with the Planning Office and Energy and Facilities Manager to propose a conversion of all of the City’s streetlights to high-efficiency ‘smart’ LED fixtures that will be dimmable and trimmable from a central location. Clifton Below, City Councilor and Chair of LEAC, estimates that this will reduce energy usage by 69% in our streetlights and make possible all sorts of additional functionality if the City Council approves it. For more information, contact Tad Montgomery, Energy and Facilities Manager, at 603-442-6140 or Tad.Montgomery@LebanonNH.gov. Governor Sununu recently vetoed two bills that would benefit New Hampshire's local renewable energy industries. Communities across the state are rallying to express their support for a legislative override of these vetoes. Download the Fact Sheet about these policies here. Download a Petition to Support the Overrides here. Do your Energy Committee or your Town Leadership take a position on these policies? 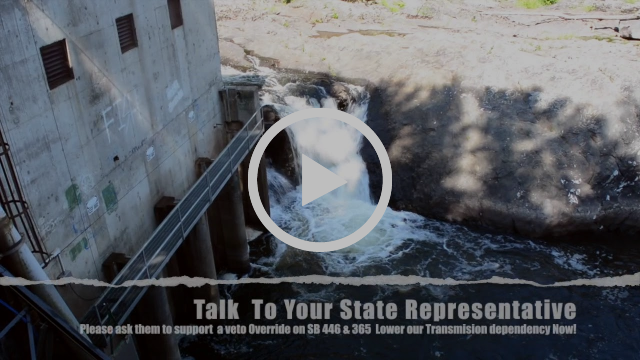 Are you interested in voicing your support for a New Hampshire based renewable energy economy? Would your town be interested in writing a letter to the legislature requesting support for the veto override? If so, PLEASE contact - Henry Herndon at henry@nhsea.org to learn more. New Hampshire’s Renewable Portfolio Standard (RPS) law requires the Public Utilities Commission (Commission) to conduct a review of the RPS program beginning in January 2018 and to make a report of its findings to the General Court by November 1, 2018, pursuant to RSA 362-F:5. In addition to literature review, research, and data analysis, the Commission is seeking stakeholder input during its review. The Commission hosted stakeholder sessions on April 16th, May 10th and June 14th, at which each of the considerations outlined in RSA 362-F:5 were reviewed and discussed. The Commission will also provide the opportunity for interested persons to submit written comments. Written comments should be no longer than five pages in length, double-spaced text, and, preferably, double-sided. Please focus comments on the statutory study requirements defined in RSA 362-F:5. Written comments will be accepted through Friday, September 7, 2018. All written comments received will be posted to the 2018 RPS Review webpage and may be used in the final report. Please direct any questions to karen.cramton@puc.nh.gov. Visit PUC website here for further details. If you are interested in reviewing and/or signing on to NHSEA's comments, please contact Henry Herndon at henry@nhsea.org for further information. Lakes Region Community College is offering its 8-day Building Operator Certification I class over 8 Fridays from August 24 through November 16, 2018. Professionals managing large facilities in New Hampshire can learn how to reduce building energy costs, and get a 50% tuition cost-share award from NH’s regulated energy utilities. This is the last time the BOC course will be offered until 2020. Now is the time! Click for course registration information. See the LRCC Energy Calendar www.lrcc.edu/energy/energy-training-schedule for registration details, or contact Andy Duncan, aduncan@ccsnh.edu, tel. 603-366-5329. 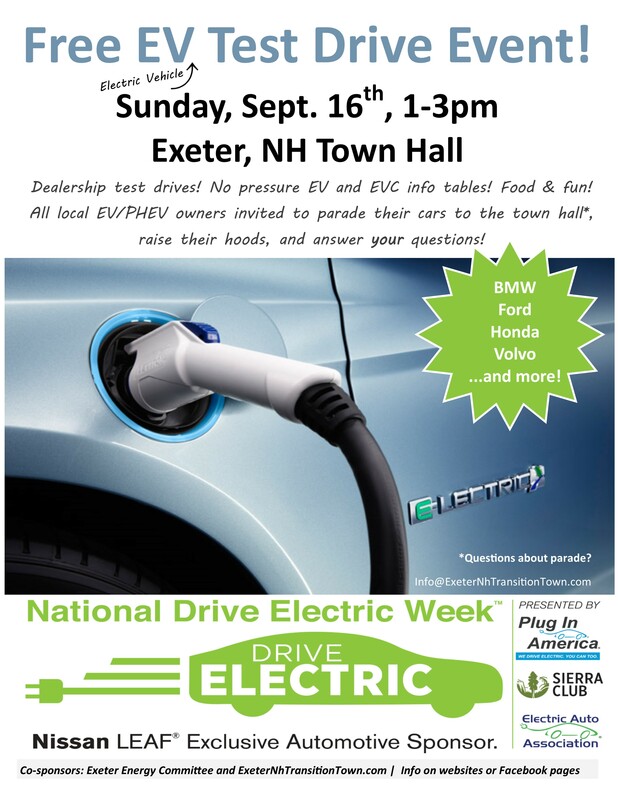 Get ready for the 8th annual National Drive Electric Week (NDEW) event in Concord! Where: Capitol Plaza in Downtown Concord. Exhibitors and EV owners will display their latest in electric vehicles (EVs), electric bicycles and charging technology. It's a terrific opportunity to learn about EVs in an informal and informational setting … you might even get to drive one! Since our kickoff event in 2011, NDEW-Concord keeps getting bigger and better with a growing variety of electric vehicles and technology gathered together on the sidewalk in front of the State House adjacent to the Concord Farmer's Market. 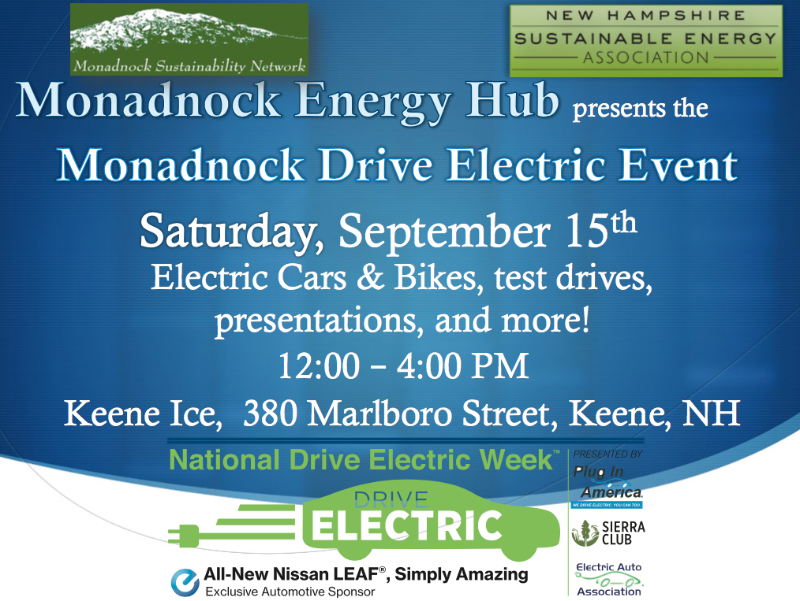 This year’s event is hosted through a partnership between Drive Electric NH, Electric Auto Association, Granite State Clean Cities Coalition, New Hampshire Automobile Dealers Association, New Hampshire Sierra Club and Plug In America. With all of this fabulous support, it’s bound to be a fabulous event! Check out the DriveElectricNH.org and DriveElectricWeek.org websites to learn more and see up-to-date listings of events, dates, times, and locations. This is your opportunity to go to an NDEW event near you, ask questions, kick the tires, and go for a drive in an electric car. We think you'll like the ride! The Enfield and Canaan Energy Committees, along with other local energy committees and Vital Communities, are organizing the first RE3 Edu-Expo, Renewable Energy and Energy Efficiency Educational Expo. Where: Mascoma Valley Regional High School. There will be three educational tracks: beginner, intermediate, and advanced. There are classes on solar 101, living off-the-grid, insulating your basement, cold climate heat pumps, LED lighting and much more. 350NH and Rights and Democracy partnered to create a training series that will prepare us to make waves in the upcoming legislative season. The series kicks off on August 14th from 6:30-8:00 at New England College in Concord (62 N Main St) with our Political Analysis session. In this workshop we will cover political movements that have helped shape the current make up of the State House and how they connect to political turmoil at the national level. To register for the training and find more information about the series visit 350nh.org/making-sense-of-climate-policy-training-series/.